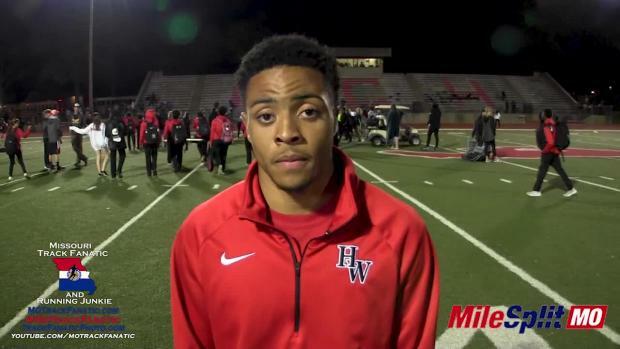 Although it's still relatively early in his career, there isn't a whole lot Hazelwood West and Gateway City United junior Justin Robinson hasn't been able to accomplish in the 400m. He has the fastest 400m time in State history, he's a 2-time District, Sectional, and State Champion. 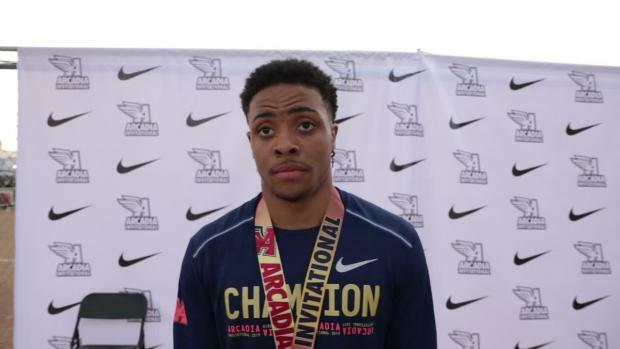 He is an All-American and U-20 World Championships Silver Medalist in the 4x400m, and has been the top ranked 400m runner in the country all year. On Sunday, Justin was able to add one more accomplishment to his list. NATIONAL CHAMPION. 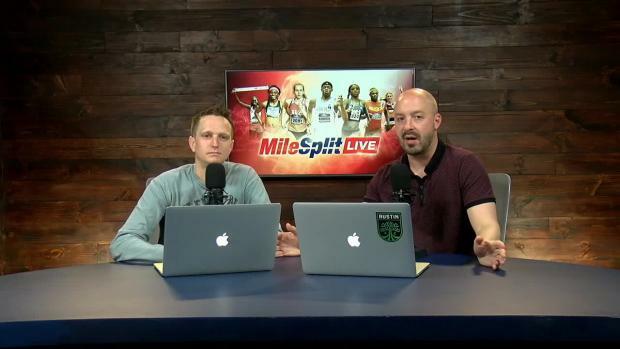 The New Balance National Indoor Championships were being held this weekend in New York at the world famous Armory. 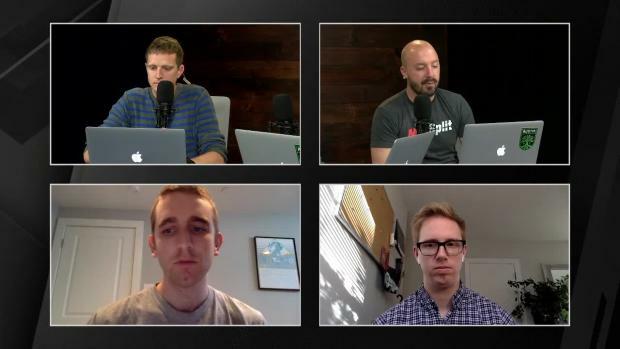 Justin came into the event as the favorite to win, but as everyone knows crazy things happen at these major events when you get the fastest people in the nation running up against each other. Robinson won his heat in the prelims with a 47.94, which was the second fastest time posted behind Randolph Ross of North Carolina who 47.75 in the next heat. With his prelim result, Robinson was assigned lane 6 in the fast of the finals. 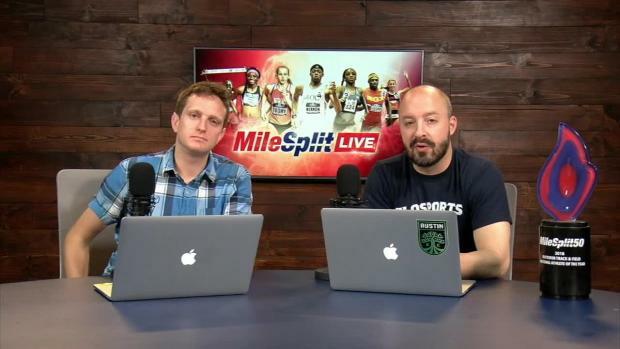 Counting him, his heat had the number 1, 2, 3, and 5 ranked runners in the United States this season. It was set up to be a very fast a competitive race. Justin had a great start and heading into the first curve you could see the race start to develop. Ashton Allen of Maryland had pulled up beside him in Lane 3 by the curve and we had our selves a race. Robinson was able to get in front by the end of the first lap to have the inside heading into the final 200m. Allen didn't go away though. Robinson tried to pull away on the back stretch, but Allen responded with a push of his own. 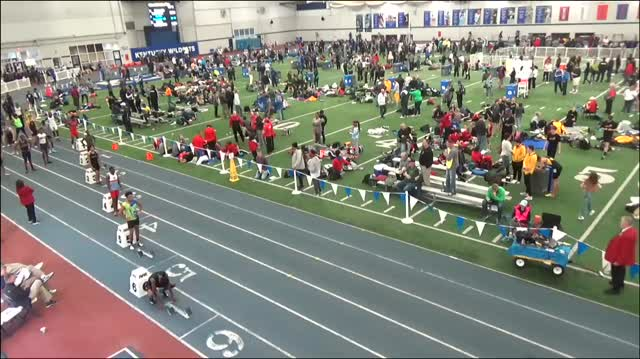 Allen was able to secure the inside of the final turn as Robinson was running on the outside of lane 1 and it was a dead heat as they started to head for home. 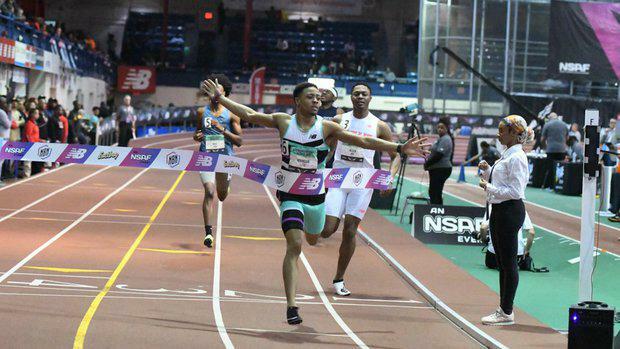 Robinson though kicked into another gear and powered down that last straight away, running a 46.55 to become national champion with the 7th fastest indoor 400m by a high schooler in American History. This also made him (at least according to our database) the first Missourian to win an Indoor Title at New Balance National Indoors. The future for Robinson is very bright, and we look forward to watching what he has in store for us this outdoor season.